Was your item damaged while shipping? Did you receive the wrong item? Or maybe you just aren't satisfied with the quality of the product. If this is the case, you can return any item you purchase from Tiger Edge® without any restock fees. Tiger Edge will even pay for return shipping! 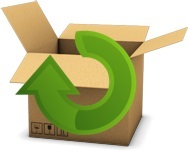 You'll be given a prepaid return shipping label upon return request. To initiate a return, please use our contact form.